What does it mean to "Dream BIG"? 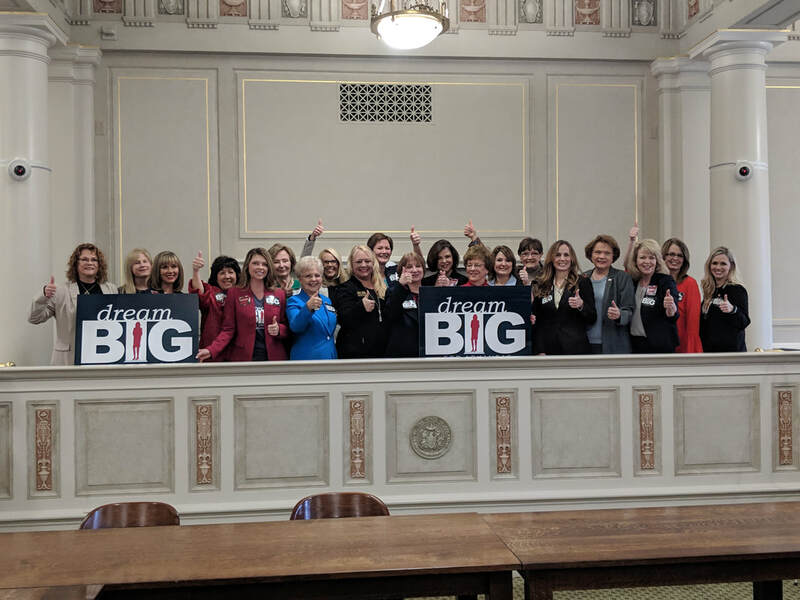 Arkansas' Republican Women Legislative Caucus, comprised of 21 members, wants to tackle the most significant issues facing Arkansas today. 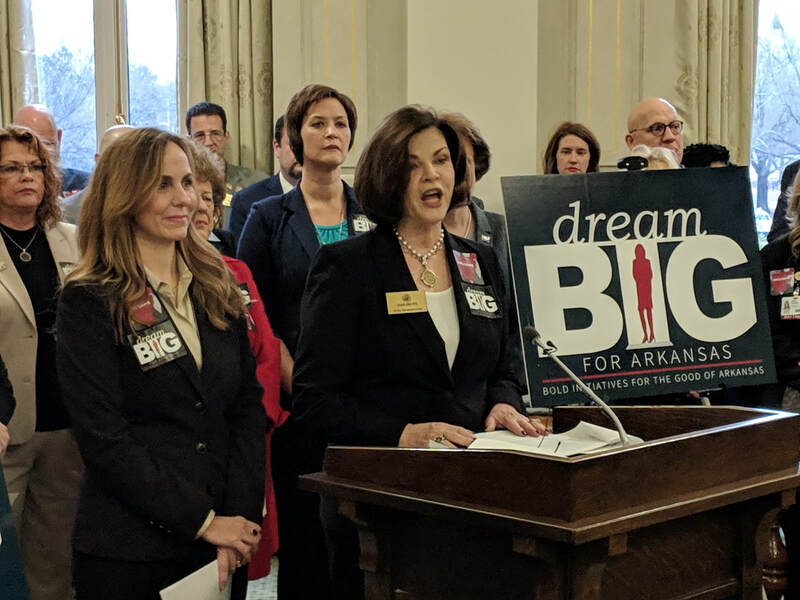 On January 23rd, 2019 these leaders launched the Dream B.I.G. 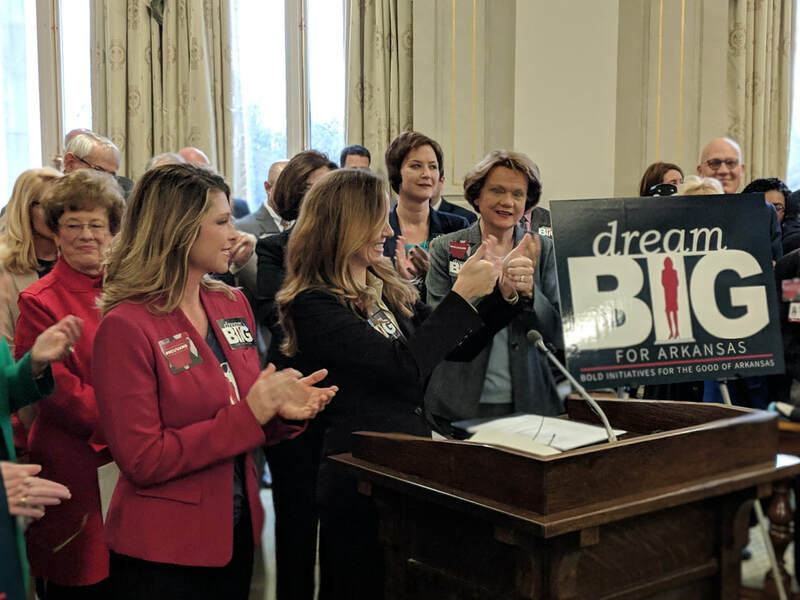 Campaign: Bold Initiatives for the Good of Arkansas, the first step to introduce legislative actions that address issues relating to Education, Juvenile Justice Reform, Economic Development, Childcare, and Healthcare. 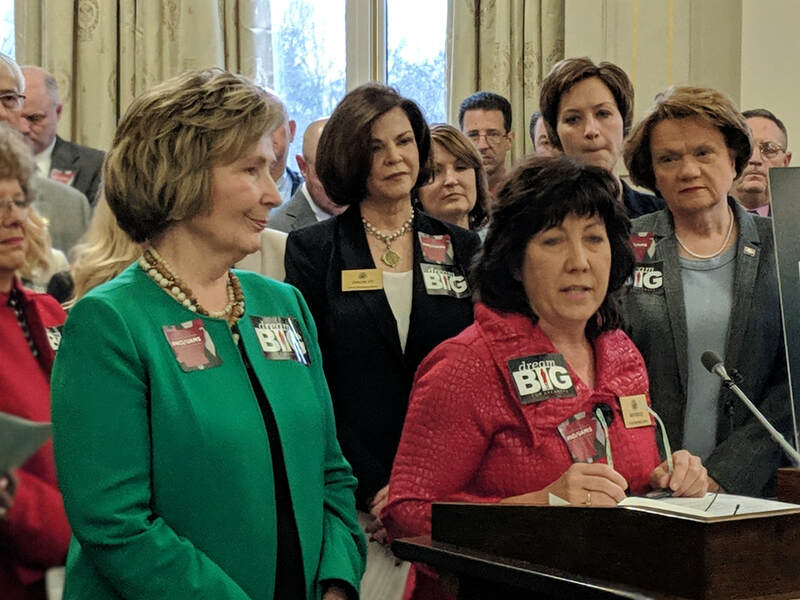 With over 144 years of combined public service experience, we believe these Republican Women legislators will get the job done! Cancer knows no bounds - rich, poor, race, gender, color, or creed. It affects all of us. ​According to the American Cancer Society, approximately 44 Arkansans were diagnosed with cancer everyday in 2018. However, hope still resides at the UAMS Winthrop P. Rockefeller Cancer Institute where thousands of Arkansans receive treatment each year. That is why this caucus is working to secure a NCI-designation at UAMS to become a National Cancer Institute Cancer Center! Improve access to clinical trials for potential lifesaving procedures across the state. Reading leads to Learning. Learning leads to Opportunity. We want to do everything we can do to open new doors for our children. The workforce of 2030 is currently in our state's Pre-K and early elementary system, and what we do now to make sure our children are learning will determine our future. Significant progress has already been made with the Right to Read Act, the Governor's RISE initiative, and other education legislation. We want to build on these initiatives. Create an approved list for curricula vetted by the ADE to help guide school districts in choosing the best curricula for science of reading and structured literacy curricula. Mandate a higher education curricula to include brain science of reading and structured literacy. Ensure all school districts submit and implement a literacy plan. The time is now to improve our Juvenile Justice System. As legislators, we recognize the urgency of reforming the system to 1) better integrate our youth back into society; and 2) to emphasize community involvement when possible, rather than relying solely on incarceration and youth-treatment centers. Our package will reflect comprehensive reform that addresses changes in the system, from the Courts and Community-based Service Providers to the Division of Youth Services (DYS). Changes in juvenile delinquency sentencing to require a pre-adjudication validated risk assessment (SAVRY) to identify whether a youth is at risk of reoffending. These changes would encourage diverting low-risk youth to community and family-based services. Collaboration with local courts and DYS to develop local family and youth services based on the needs of each judicial district; expanding diversion, FINS, family reunification, and aftercare services. Changes in DYS policies to require validated risk assessments for youth and families. Treatment plans should focus on individualized needs that minimize the length of stay in out-of-home placements while ensuring continued in-home services following release. Additionally, this legislation would downsize secure residential facilities; maximize funding for community-based and residential services; and identify and fund evidence-based programs. DYS will collaborate with the Courts and Community Providers to strengthen data collection, analysis, and decision-making. We know that access to broadband is a public safety issue, a healthcare issue, an education issue, and an economic issue. While Arkansas currently leads the nation in access to high-speed broadband for our schools and has a nationally recognized computer science education program, rural areas in Arkansas still have limited access to FCC-defined high-speed broadband, meaning that rural students can’t access broadband at home and business often must locate elsewhere in order to compete. Currently, Arkansas has one of the most restrictive laws in the nation regarding municipalities’ participation in broadband deployment. Only five states, including Arkansas, prohibit municipalities from owning or partnering with private sector broadband providers, with few exceptions. We understand the challenges of being working moms and challenges for all families. 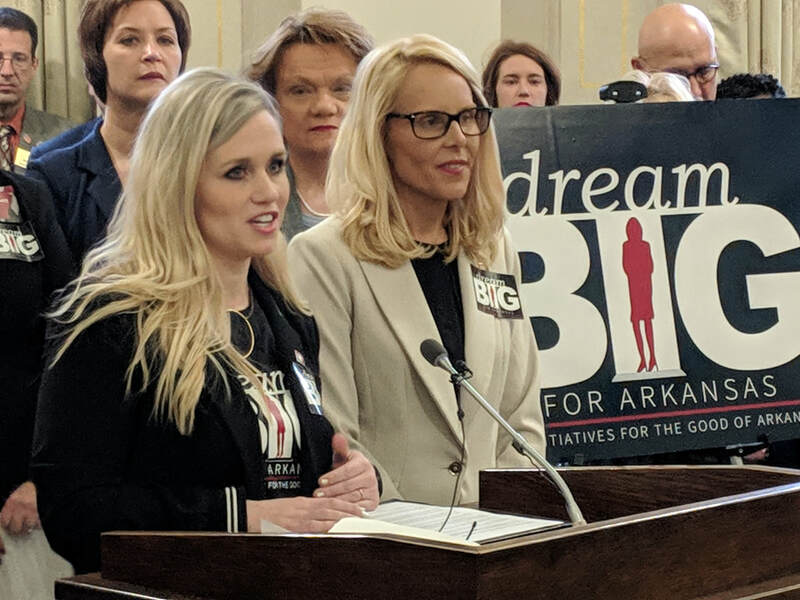 Arkansas parents who want to work, but accessible and affordable childcare is limited in rural Arkansas. This legislation provides a one-stop-shop to encourage entrepreneurship in creating childcare facilities. The Department of Human Services will report to the Legislature and will review rules and regulations pertaining childcare. 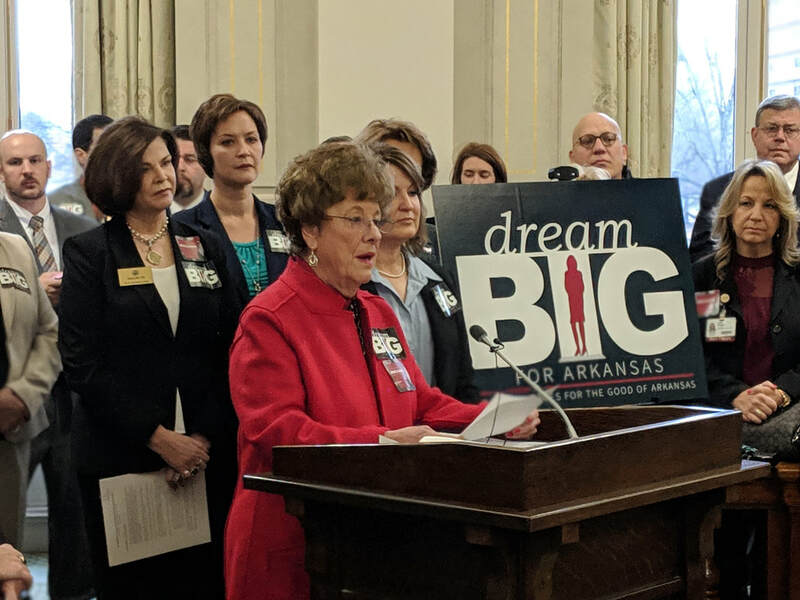 Improving the childcare industry in Arkansas is our goal, and we believe our families and economy will benefit as a result.